This bisque Snowbabies is part of a very popular series of figures that appeal to best girlfriends. This figure features a classic Snowbabies with a tulle skirt, a beaded necklace, and a knitted hat. 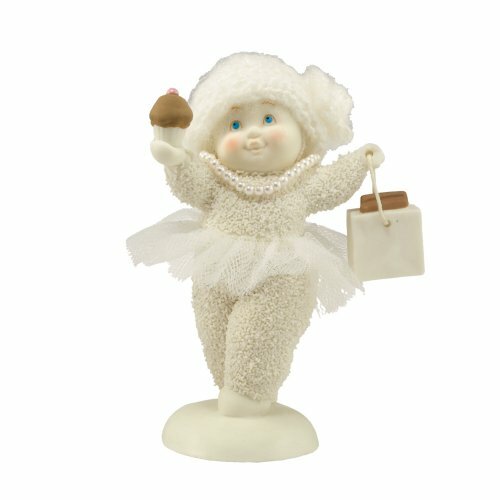 In one hand the Snowbabies carries a frosted cupcake, and in the other hand is bag, which may hold a few more treats. .